Swimming is great fun and one of the best forms of exercise you can do, but it’s also a very important life skill. rt by sharing some water safety advice! How many people drown in the UK? 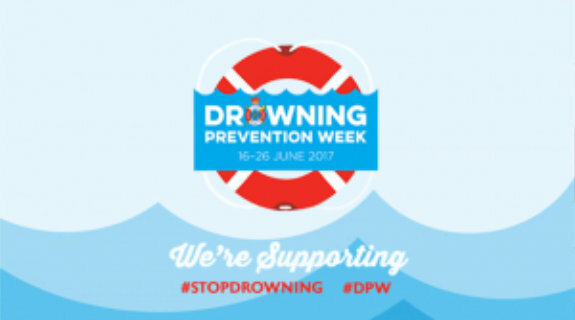 Every year, about 400 lives are lost to drowning in the UK – equivalent to one person drowning every 20 hours. [i] Every day, people die and suffer life-changing injuries as a result of drowning. It is one of the leading causes of accidental death. Drowning often has multiple and complex causes. Many of the drowning fatalities in the UK were people who accidentally fell into the water – including runners and walkers. Many were children and young adults, and others were under the influence of alcohol. [ii]But drowning can be prevented through simple measures.One thing that you can do today is make sure that you and your children learn the code to safety as part of Drowning Prevention Week (see below). Swimming lessons always go a long way in helping people to be safer in and around water. After all, swimming is the only sport that can save your life! At Core Aquatics, our lessons are focused on helping children and adults to become confident swimmers who can enjoy their time in the water safely. Invaluable campaigns, such as ‘Float to Live’ from the Royal National Lifeboat Institution, also help to educate people on how to respond if they find themselves in water unexpectedly. The charity explains that British and Irish coastal waters are cold enough to cause cold water shock. They advise fighting the urge to swim hard, floating on your back until the cold water shock has passed. People can drown in as little as 2cm of water, so when it comes to bath time, children should never be left unattended and the bath should be emptied straight after use. Supervise children while they’re using paddling pools; empty them and turn them upside down after use. If you’re going on holiday, try to find a destination that has lifeguard cover at the pool/beach and read the signs to find the safest places to swim. Never swim alone or under the influence of alcohol. Drowning is still one of the most common causes of accidental death in the UK, so being able to swim is an essential life-saving skill. However, done safely, swimming is also lots of fun for people of all ages! [i] National Water Safety Forum, NWSF (2015) A future without drowning: The UK Drowning Prevention Strategy 2016-2026. [Online] NWSF. Available from: http://www.nationalwatersafety.org.uk/strategy/ [Accessed 25/06/17]. [ii] Royal Life Saving Society, RLSS (2016) Drowning figures are falling but every single drowning is still a dreadful tragedy. [Online] RLSS. Available from: http://www.rlss.org.uk/news/drowning-figures-falling-every-single-drowning-still-dreadful-tragedy/ [Accessed 25/06/17].